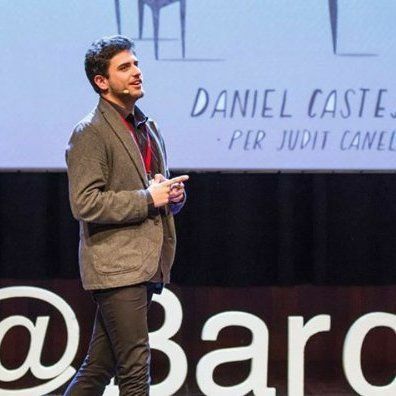 In this afternoon we have Daniel Castejon, data mentor at Ubiqum, who will talk about errors in predictions and how we can learn from them. Errors in predictions are usually seen as problems to be solved. While this is the case if our intention is to improve our error metrics, errors can show us not only possible improvements on our predictive models but also details or insights that were not taken into account or not known when building the model. We will go through all the process of the error analysis on a case studio: the wi-fi location problem in interior spaces. The dataset of the case studio comes from a repository ( https://archive.ics.uci.edu/ml/datasets/ujiindoorloc ). Some papers have been written about how different teams built their models. Not much has been said though about the error on the predictions they were having. This workshop is hosted by Ubiqum Code Academy and will take part at the awesome Itnig in the beautiful Barcelona. Beers & Water will be provided. Ubiqum Code Academy provides 5 month training camps for people that want to start a succesful career in technology. The program focuses on Data Analytics & Big Data and includes a 50% job guarantee promotion. Courses run every month so please ask the mentor and the staff for more info after the workshop! Alternatively find out more here.